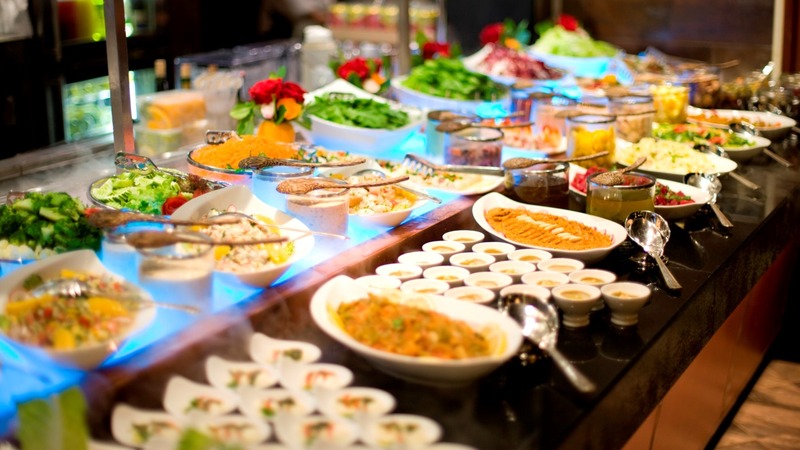 Top thing to do in Bangkok, Bangkok sky dining buffet. Indulge in an appetizing buffet selection with a mixture of Thai and international flavors. 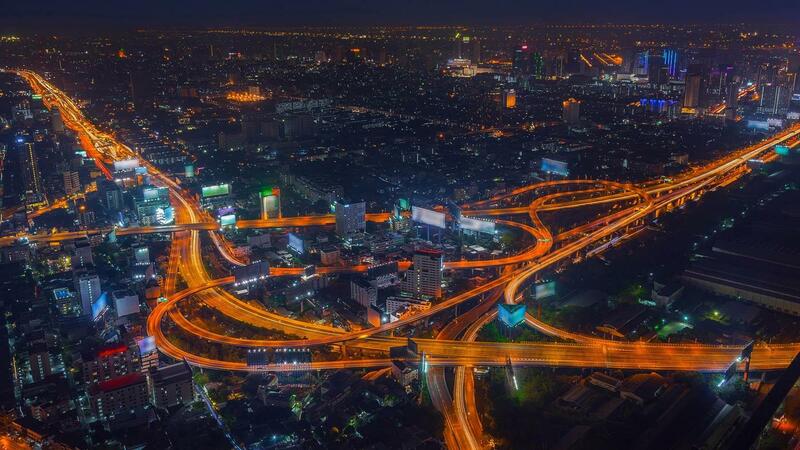 After your meal, go to the 360 degrees Revolving View Point to see the spectacular view of Bangkok. Prepare your taste buds for a treat during this two hours dinner. Enjoy a selection of tasty seafood at this gourmet buffet. Take in the panoramic view of the city from the Observation Deck on the 77th floor. 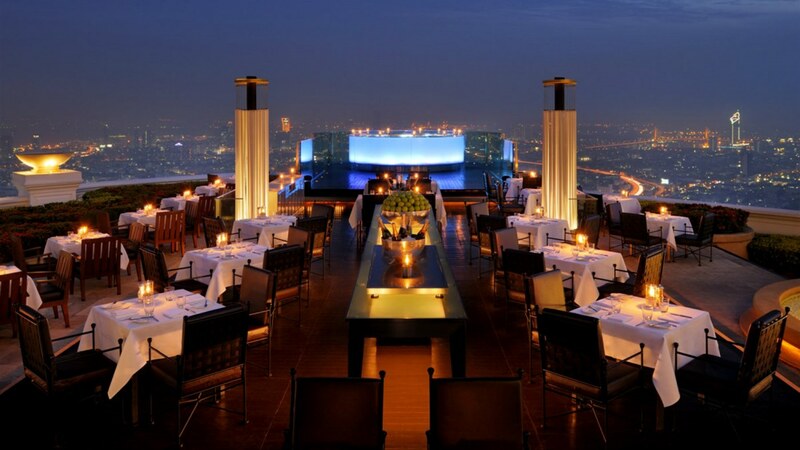 Get your awesome dinner experience at this Bangkok sky restaurant with special offers and interesting price. You will receive confirmation of your booking's availability within 1 business day. Once confirmed, we will send you the voucher via email. This e-ticket is only available for non-Thai Nationals. Thai Nationals can make bookings from the hotel directly. Lunch hours: 11:00am-1:00pm or 1:00pm-3:00pm. Dinner hours: 5:00pm-7:00pm or 8:00pm-10:00pm. Child ticket: 80-120cm in height. It's quite a buffet, so show up with an empty stomach. Check in on the 19th Floor. 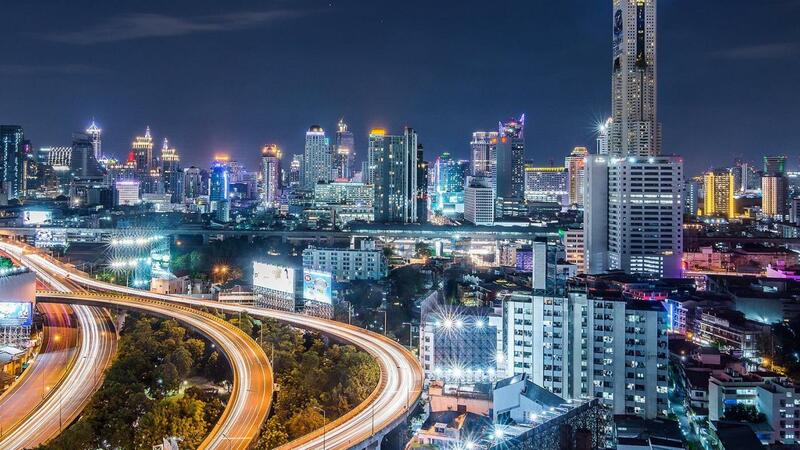 The hotel is centrally located and just next to the Ratchaprarop Airport Rail Link station, so you can take a speedy train from Suvarnabhumi airport to the hotel directly. Bangkok Sky Restaurant provides an extensive seafood buffet along with a gorgeous view of the city from the giant Baiyoke Sky Hotel. Get your most interesting Baiyoke sky hotel buffet price 2018. Travelers, sink your teeth into a variety of quality international foods including seafood, Thai dishes, sushi salads, pizza, pasta, cheeses, and desserts. 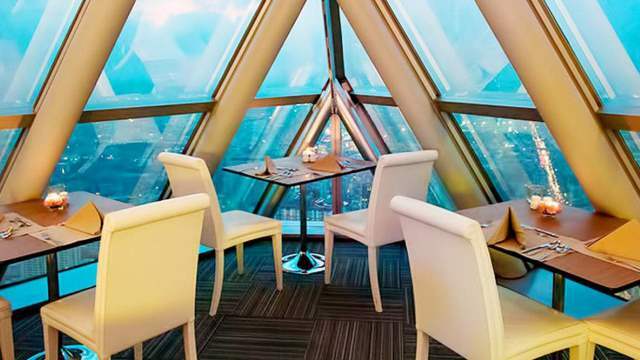 After you have done with your meal take the elevator to the panoramic Observation Deck floor and then to the Revolving View Point with its 360-degree rotating view. Quality seafood and an unmatchable view of Bangkok will put the cherry on top of your Thailand adventure!. 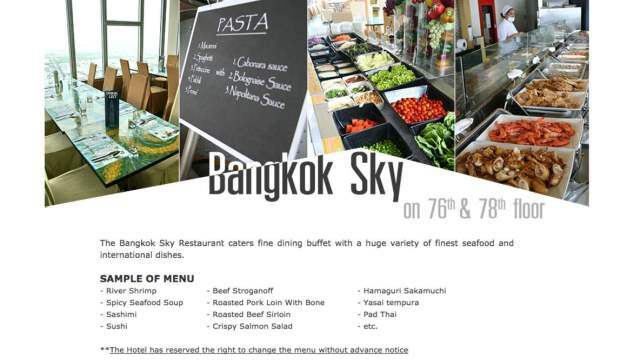 Book it now and get your special Bangkok sky dining buffet price. If you want the other dinner experience, try to visit Apsara Bangkok, there is a special dinner for you there.